According to Age UK, approximately 450,000 people will be spending this Christmas alone this year. This doesn’t of course relate to people who use the Cardea Home Support service. 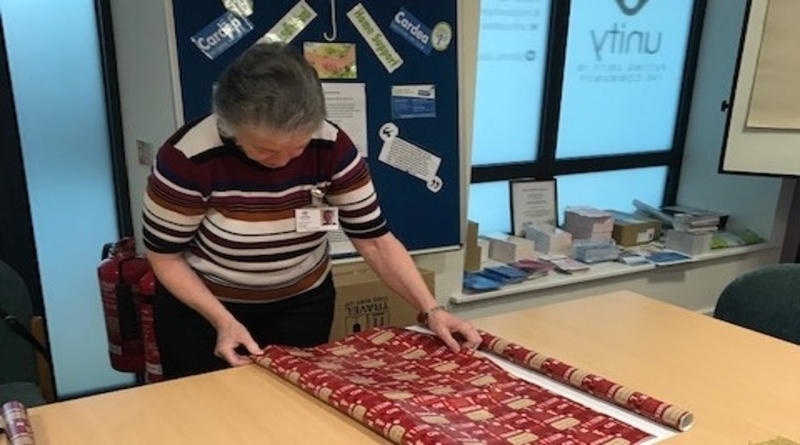 The Cardea staff have a wealth of experience working with people who may feel isolated and lonely and they are keen to ensure everyone has the best possible time during the festive period! 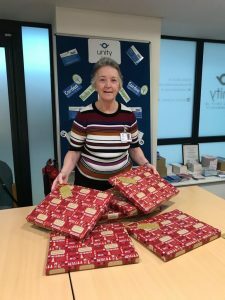 Volunteers from Unity including Angela shown in the photograph, have been busy helping Santa wrap and tag gifts for Cardea’s clients to bring a bit of early Christmas cheer to their homes. 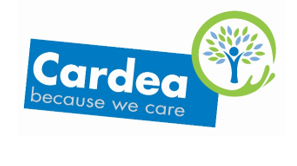 Cardea Home Support, who have recently celebrated a year in business are as busy as ever providing support to people in their own homes who may need of a bit of companionship or just some help to resolve an issue which could impact on their quality of life.